A few weeks ago, I was having lunch with Jeff, an Atlanta lawyer. Lawyers don’t really pull punches. I looked at the secretary as she walked out. She had just delivered us hot croissants. She looked like a model. I was at a loss for words, so I just watched her body cascade through the doorway. “What?” I was in my high school guidance counselor’s office. I wasn’t actually planning to go to college at the time. I wanted to get a GED and go to cooking school. 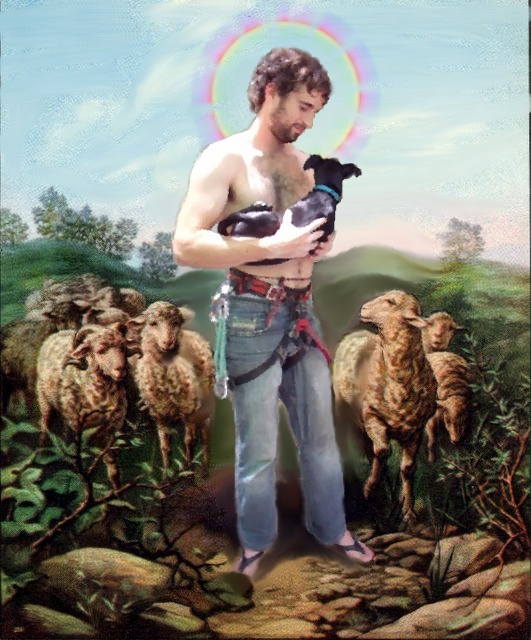 I didn’t really have a chance to contemplate that–I came out of the closet, my family imploded, an in-state university seemed like the most reasonable escape, and the University of Georgia accepted me. It was a perfectly acceptable path, though the only one, short of some less glamorous delay. So I left Milton for Athens, with an estranged family in my wake. Nobody had ever asked me that. It took me a minute. In my head, I unwrote the formation of HC, and rewrote the story in which I instead joined the law review. All of the relationships formed among all of the different people that had interacted with it came apart and joined other connections in the universe. You’ll probably need to click the next image to zoom in and see it in all of its glory, which shows all of the people I got to know as a direct result of forming the club during that summer. From left to right: Kelly, Jon, Rio, Todd, Rio, Rio, me, Chris, Rob, Christy, Chavez, and Laurie. 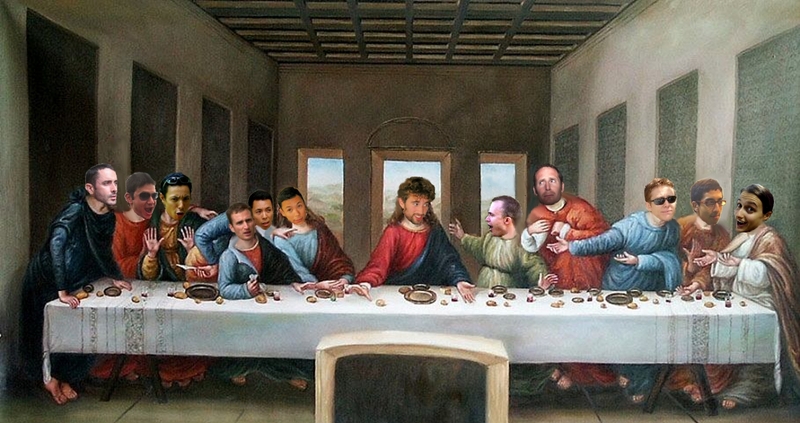 Jonathan intended to photoshop out Judas Iscariot in lieu of photoshopping in the head of an actual Judas, but instead accidentally photoshopped out the entirely innocent Thomas the Apostle. 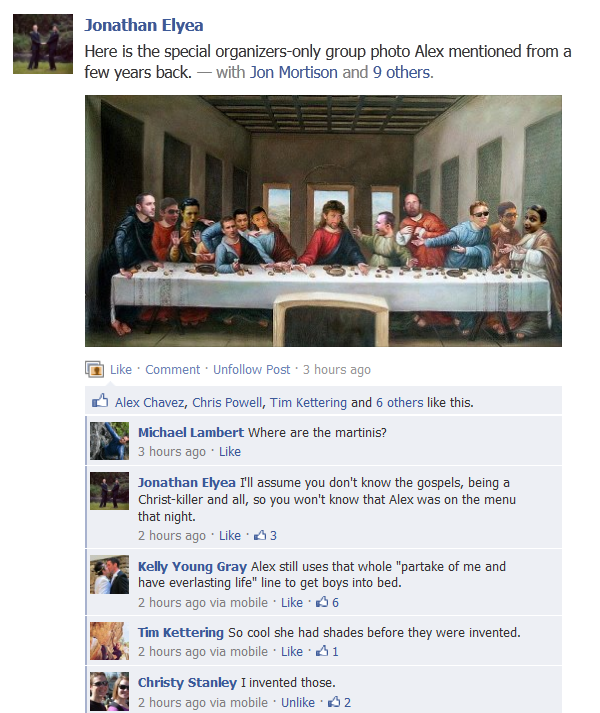 So thanks to Jonathan’s slip in regard to da Vinci, Todd is depicted as Judas, even though Todd has no ill designs to stage a coup, much less the Facebook admin capabilities to attempt it. As far as I know. I’m watching you Todd! What fascinates me about climbers, and something I’ve discussed (more eloquently) before, is the many alternate futures that stood before them. They ignore a lot of high school guidance counselors and their equivalents to become the people they are today, and ignored the priorities of the universe they were born into to create a new one. This is the je ne sais quoi that I can’t explain about HomoClimbtastic–it’s not a climbing convention any more than Woodstock is a concert. It’s a Saturday evening in the salon of Gertrude Stein. 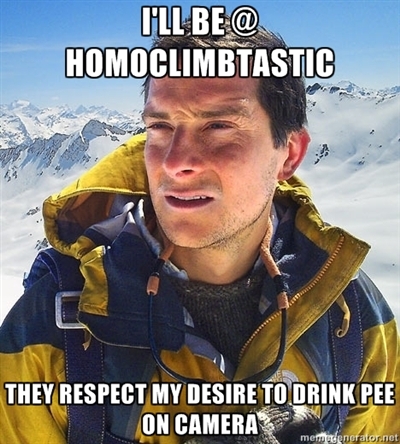 If Matisse made Bear Grylls memes. We love anyone with the audacity to rename themselves “Bear Grylls”. 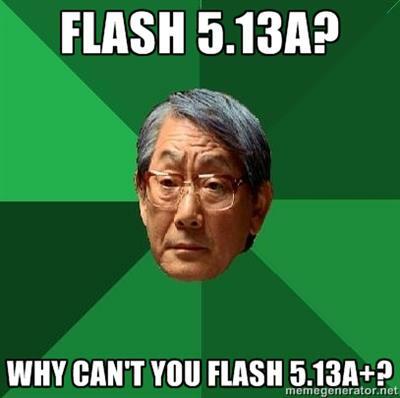 I was briefly concerned about the racial stereotypes conveyed by this meme until all of my Asian friends liked it on Facebook. I think Christy was frustrated with the proportion of Facebook posts devoted to Bear Grylls themed-meme images. 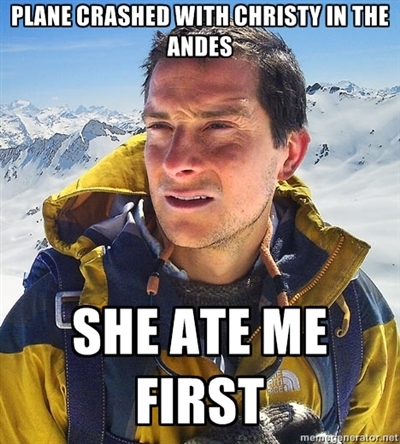 So naturally, I made a Bear Grylls meme for Christy. When his half-eaten corpse was found next to a box of 500 unopened Clif bars and a satellite phone, it was decided that she either didn’t like Blueberry Vanilla, or thought it was the most efficient way to get him to stop talking. Incorporation into subsequent memes is probably the only cognizable benefit to volunteering at an HC convention. As chance would have it, when I was living in Geneva some time later, my friend/roommate, an attorney, had a meeting with the Geneva international trade lawyer. “It was a very awkward conversation,” he said.